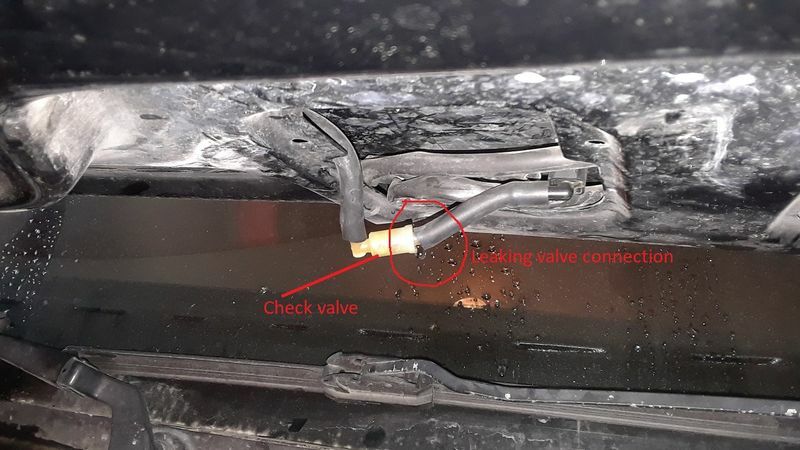 I understand this is not a high dollar item and can be gotten easily, but I like to fix stuff so here is a small write up to get your pump working again if it is not burnt,shorted or damaged. 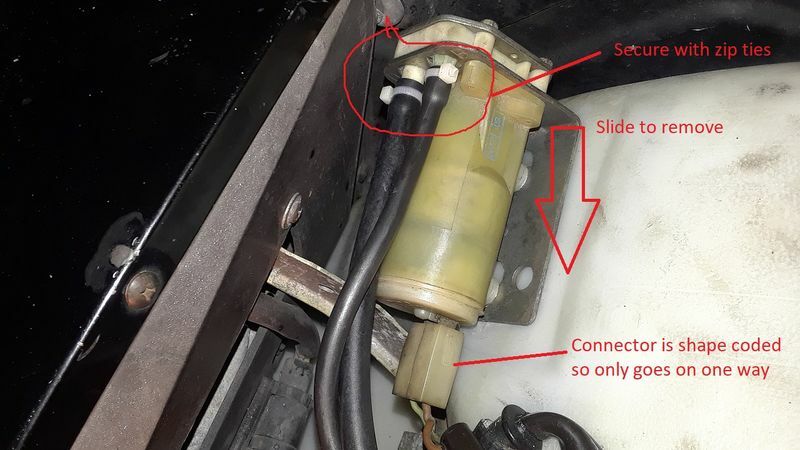 The pump sits on the washer fluid tank and can be removed by taking the 2 hoses off and removing the power connector. 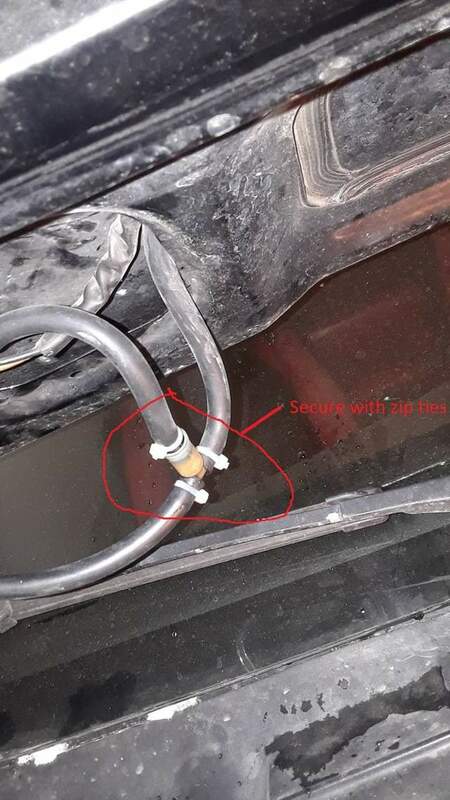 Ignore the zip tie connector comment for now. Once you have the pump off inspect for physical damage. It will be pretty gunky if it is like mine. (Mine was also not running). Test for power at the connector with a meter hooked up to it. I use alligator clips so I can put the meter on the hood in view while I push the wash function on the steering wheel stalk. If you have assistance just hold the meter terminals on the connector and have some push the wash function. The meter should read 12V with the stalk pushed. If not go find the fuse for the pump and check it. If that works time to take the pump apart. 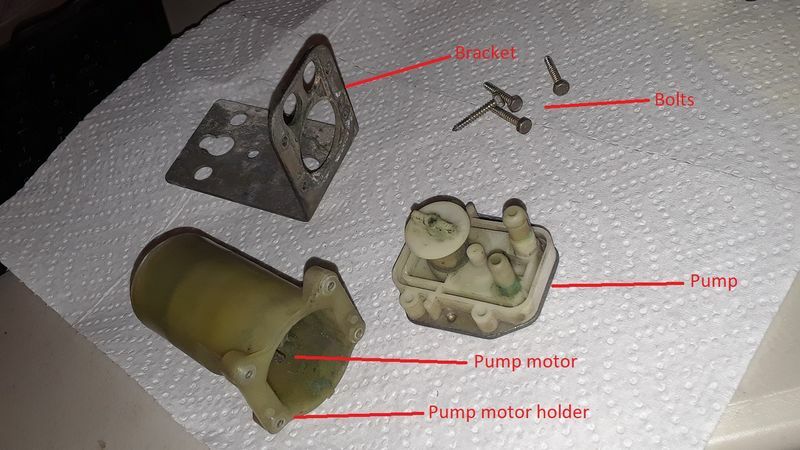 It is held by 4 bolts through the pump to the motor housing assembly. 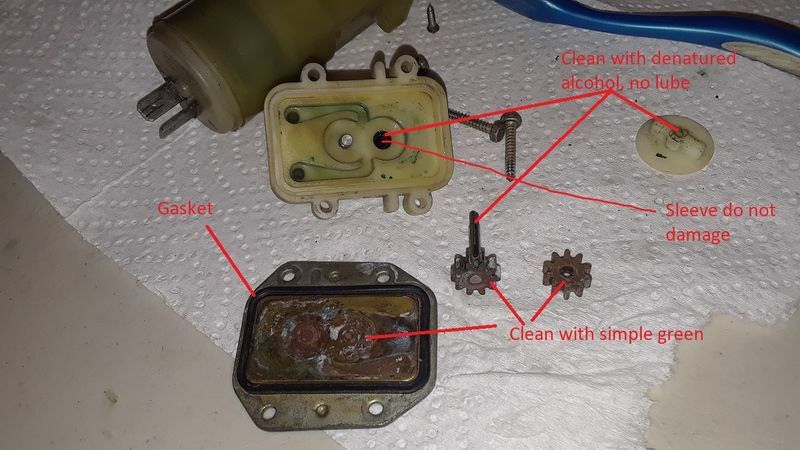 There are 2 gears in the Pump assembly. Clean every thing up. Check to make sure you can spin the motor easily with your fingers and it is not frozen. If you have a 12V external source test the motor without the pump attached . 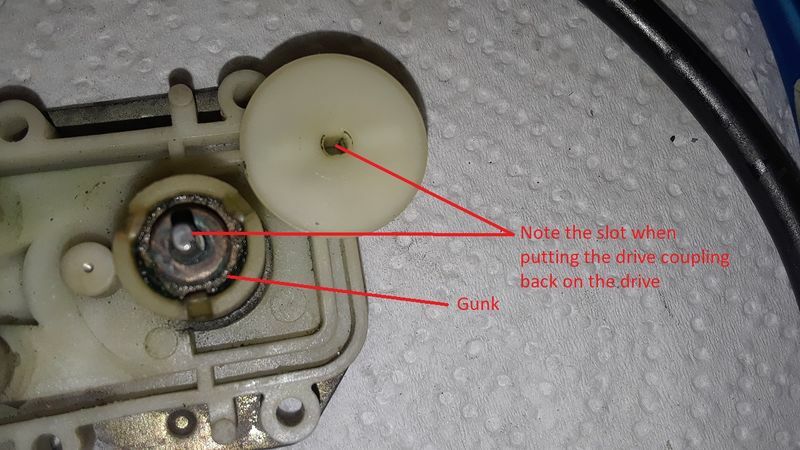 Check to make sure you can spin the pump drive with the coupler easily and the gears rotate. 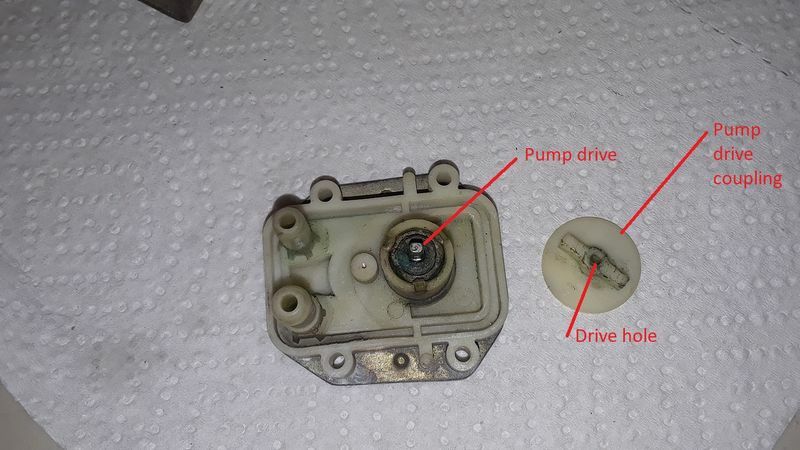 Important, the pump should spin easily as the motor driving it has very little torque. If it does not, make sure the gears are clean and there are no debris in the shaft rubber sleeve. 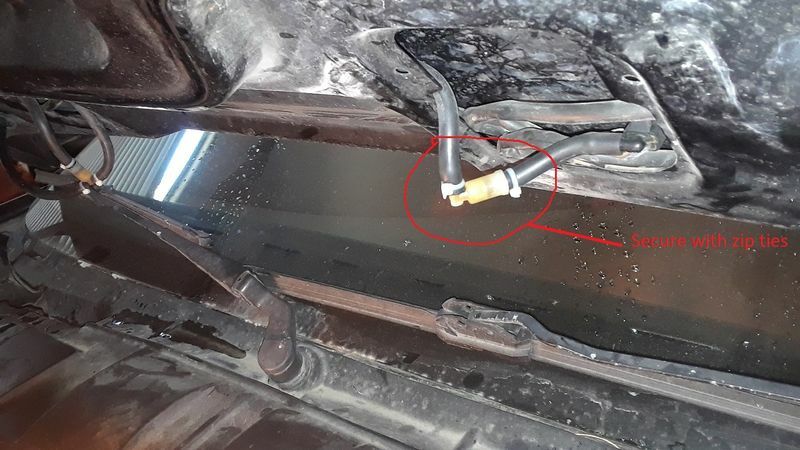 Important do not damage the rubber sleeve around the pump drive shaft. 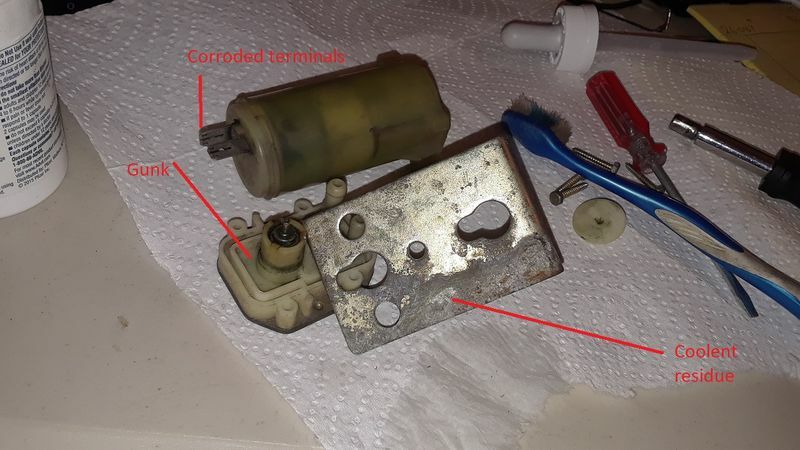 Important do not damage the rectangular gasket in the pump assembly. Put the pump/motor back together. Put back in the car. 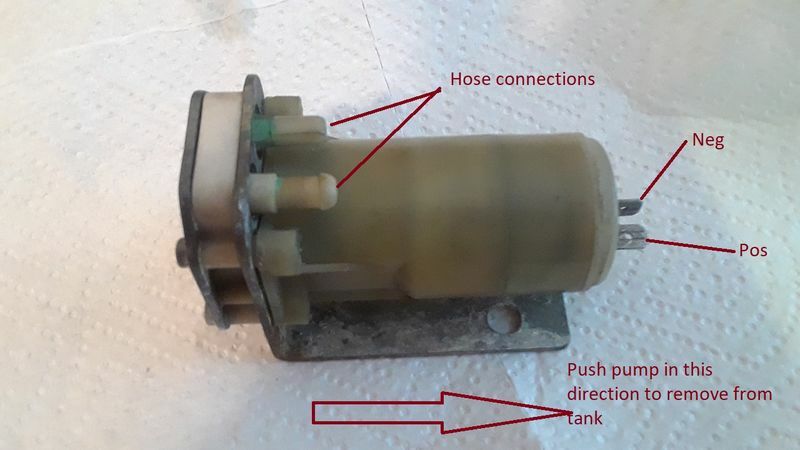 Now check the one way valves connected to the jets/nozzles. One way means one way if you can get air through both ways the valves are gone and the fluid will not stay at the nozzles. It will still work but the pump will have have to work hard empty to fill the lines each time. Continued next post ran into the 10 images limit. 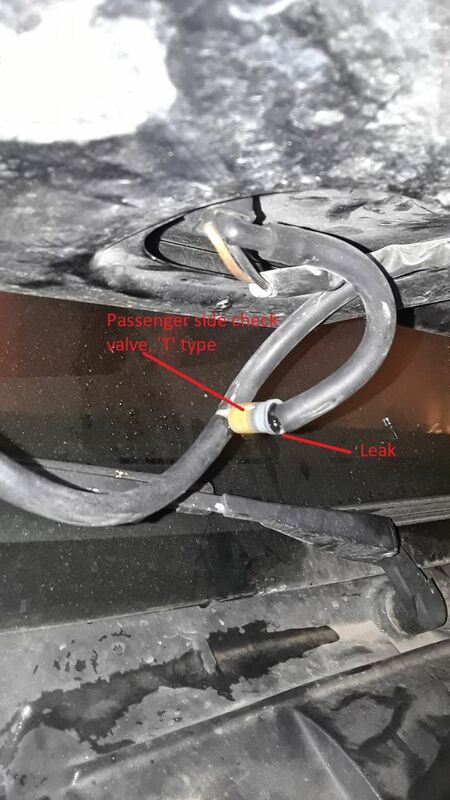 Check the connections for leaks, I use zip ties to make sure. This is the alcohol to use the rubbing stuff from the pharmacy has water in it. Sorry this may not be well organized, but the info is there. Thanks for the writeup! You have inspired me to go figure out what the heck is wrong with mine. FYI - You can get 90% isopropyl alcohol at most drug stores for less than $2/pint, and it evaporates cleanly. 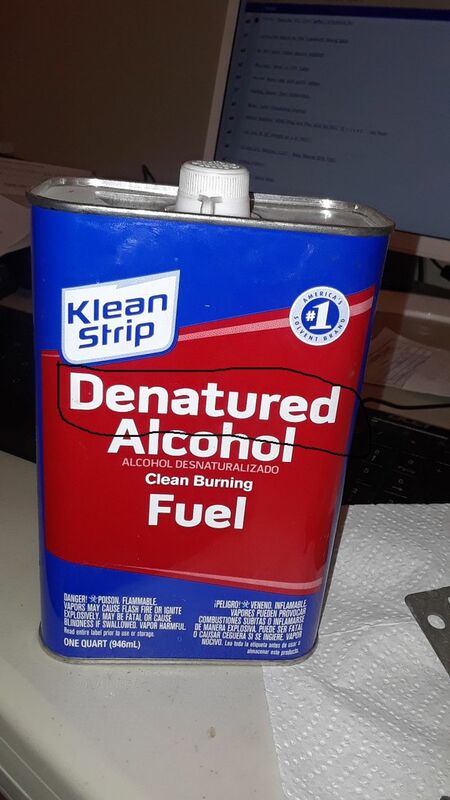 Denatured is fine too, but that's another option. Or you can get real fancy and get a can of pressurized 99.9% isopropyl at an electronics store!